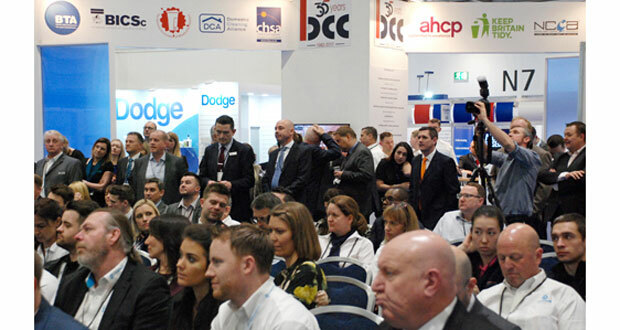 Organisers of The Cleaning Show, the UK’s biggest cleaning, hygiene and waste management exhibition (Excel, London March 19-21), have announced more details of the event. In recognition of the massive contribution window cleaning makes to the wider cleaning industry, the 2019 Cleaning Show will feature a special zone dedicated to the sector for the first time. The Window Cleaning Village will be for anyone connected to commercial window cleaning which will give them the chance to try out the latest products on offer, attend workshops, and network with equipment providers. The Window Cleaning Village will also be the location for a new twist on the usual window cleaning challenge with the launch of theWindow Cleaning World Cup sponsored by Unger. Adjudicated by the Federation of Window Cleaners (FWC), there will be an international campaign and prize fund to encourage more cleaners from overseas to get involved. Competitors from around the world are formally being invited to enter, and they’ll get the chance to win the first ever Window Cleaning World Cup and a prize of £1,000. It’s also hoped by attracting more global participants that someone may finally come close to beating the 10-year world record of 9.14 seconds Terry ‘Turbo’ Burrows. In addition, organisers are looking to encourage more women cleaners to take part, highlighting that Deborah Morris’ record time of 16.28 seconds has now stood for over eight years. A similar dedicated space is also being developed for carpet cleaners. Called The Carpet Cleaning Village, this zone is being designed for anyone connected to the carpet cleaning industry and carpet cleaning supply chain. Dave Wheadon from The National Carpet Cleaners Association (NCCA) said: “It’s fantastic that The Cleaning Show has recognised the significance of carpet cleaning within the wider cleaning industry and has created the Carpet Cleaning Village as a result. It will be a space where us and our members can not only learn about the latest innovations and techniques within the world of carpet cleaning but also be somewhere we can discuss the key challenges we all face as a sector. Major carpet cleaning brands and suppliers will be exhibiting at The Cleaning Show, including Prochem, Legend Brands, Sebo and Vaclensa. The NCCA itself will also have a presence at the show, as part of the British Cleaning Council’s exhibition hub. Commenting on the two new sector Villages Stan Atkins, Chair of the British Cleaning Council who co-produce The Cleaning Show, said: “The window cleaning competition remains one of the most popular events we have at the show, but for 2019 we’ve decided to give it more of an international flavour. Another special area at The Cleaning Show will be The Green Zone, a space offering advice and solutions to those looking to reduce their environmental impact and offer more sustainable services. A Resource Management area is also being developed which will focus on waste management and recycling. In addition, there will be The Cleaning Show Clinic, a drop-in space featuring a wide range of experts and consultants who will be on hand to present short sessions and give practical one-to-one advice on a number of different issues including health & safety, recruitment and social media. 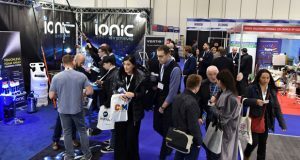 Innovation will also be very high on the agenda, and once again in 2019 The Cleaning Show will be hosting the Innovation Awards. These are a series of prizes for the best products and services being exhibited at the show and will offer delegates the opportunity to see a number of new and innovative products which have never been seen in the UK before. An expert panel will be judging the most innovative products on Tuesday 19th March with the winners being announced that afternoon at 4.30pm. The full Cleaning Show Conference programme has also been announced which features expert-led sessions over the three days. These include the USA’s ‘Green Cleaning Guru’ Steven Ashkin, Executive Director of the Green Cleaning Network and co-founder of the Green Cleaning University (GCU). The GCU is an intensive professional development programme for American cleaning operatives who want to specialise in green and eco-friendly solutions. Joining Ashkin at the Cleaning Show’s conference will be Dr Terry Tudor, Senior Lecturer in Waste Management, Northampton University. Dr Tudor will be talking specifically about waste management in healthcare settings, while other presentations will be given about the managing food waste and how behaviour change will be key in the adoption of more clean and green business cleaning practices. There will also be two special roundtable debates which will focus on estates and facilities management, including the issue of resource management and more sustainable processes. 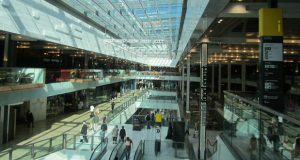 Confirmed participants include Matt Coulson, CEO, Chiswick Park Enjoy-Work; Mark Loubser, Head of Environmental Services, Intu Retail Services; and Michael Foreman, Managing Director, Don’t Waste UK. Presentations will also be given by Dominic Ponniah, Chief Executive of Cleanology, James Marston, Learning and Development Manager for BICSc, and Syed Ahmed of Savortex (previous star of BBC’s The Apprentice). Suzanne Howe from Suzanne Howe Communications, and the BCC’s communications lead consultant Richard Bond from SKV Communications, will also be speaking.